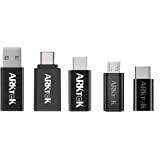 Sold by ARKTEK and Fulfilled by Amazon. Gift-wrap available. 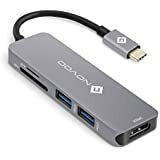 Amazon's Choice for "usb a to usb c"
Sold by tomtocDirect AU and ships from Amazon Fulfillment. 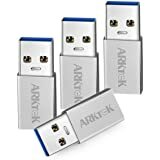 ARKTEK USB-C to USB 3.0 Adapter is a minimalist solution for your laptop and other Type-C-enabled devices to equip USB A devices. 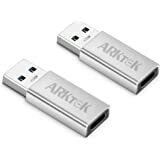 Data transferring speed up to 5Gbps on USB 3.0. Just enjoy an immediate data transmission. Vastly expands the possibility of USB-C devices built with few ports. 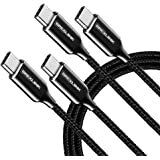 Used this for a new phone, which is USB-C, all my cables are Micro USB, so this helps me convert them all without buying new cables, 4 pack, 2 white, 2 black, tested with a few cables and they all fit perfectly (only 1-way for the Micro USB remember). They are much smaller then I expected - the picture makes them look bigger, but that's not a problem. For the price, the product is fine. As another reviewer commented it will not charge a micro USB device if both ends of the charging cable are USB-C. 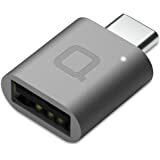 But cables with a USB 3.0 on one end of the cable and USB-C on the other connected to this adapter, their is no issue charging micro USB devices. Lose’s one star for this. 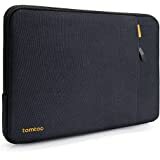 I bought this for using on my new MacBook Air and Surface Go. it works on both Mac and Go, but it is extreme difficult to pull it out from the port. 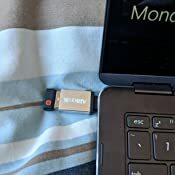 It is too risky to use it on my computers, I would not use it again or recommend to anyone for using it on MacBook or Surface Go. 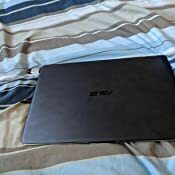 The seller should mention this product is not suitable for using on MacBook or Surface Go. I was hoping to be able to use these to charge my bluetooth headphone but it doesnt really work...at all. Edit: The seller contacted me and sent me a new set which work absolutely perfectly. I must have just got a dud before. 6 in a pack. All 6 worked fine. 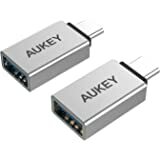 Like others have mentioned, they are a snug fit on both the USB C and A ends, but I perfer that personally: I used loose ones before where the slightest knock and you'll lose connection and file transfer would fail etc. The construction seems sturdy enough, nothing so far looks like it would slip loose. It works great, material quality is quite good as well. 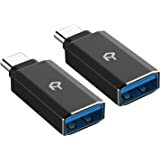 If you are planning to change your old device to an Usb-C device, these adapters are absolutely necessary. This adapter came in a pack of 6 (all worked perfectly), which is great for me since I'm constantly losing these things. 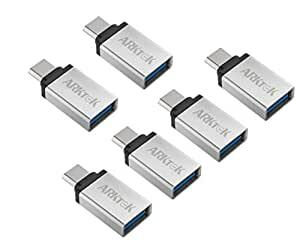 They do the job, aren't too ugly and help with my HUGE lack of usb c ports on my laptop. It's a must have to be able to use all my old cables.